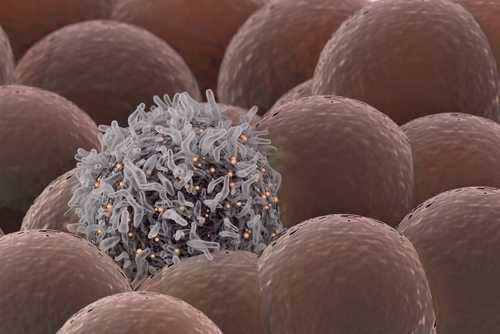 Cancerous tumors trick myeloid cells, an important part of the immune system, into perceiving them as a damaged part of the body; the tumors actually put myeloid cells to work helping them grow and metastasise (spread). A research team co-led by scientists at Rush University Medical Center have discovered a potential therapy that can disrupt this recruitment and abnormal function of myeloid cells in laboratory mice. The findings of their latest study were published on Dec. 19 in Nature Communications. Gupta and Judith Varner, PhD, of the Moores Cancer Center at the University of California at San Diego (UCSD) in California, were co-senior corresponding authors on the study. Samia Khan, PhD, a post-doctoral fellow in Gupta’s lab; and Michael Schmid, PhD, and Megan Kaneda, PhD, with UCSD, were co-first authors. Here, the researchers found that CD11b promotes development of myeloid cells into one sub-type, the M1 macrophage, that functions appropriately to suppress tumor growth. However, the tumors often suppress CD11b activity that results in development of the myeloid cells into a different type of cell, the M2 macrophage. These cells actually ward off T cells, which are vital to fighting disease, and M2s also secrete growth factors and promote the development of new blood vessels that allow cancer to grow and metastasise. In this study, the team explored how modifying the activity of CD11b affects myeloid cell behaviour in the presence of cancer and if that could be used as a novel strategy to treat cancers. Using a small molecule discovered in the Gupta laboratory, Leukadherin-1 (LA-1), which in the body activates CD11b, the researchers developed a therapy that can boost the function of CD11b to promote the disease-fighting M1 type of myeloid cells, helping create a microenvironment at the tumor site where T cells can enter and attack the cancer. Exploring further the reason for this difference, the team found that CD11b plays a critical role in regulating the polarisation of myeloid cells into M1 or M2 macrophages. In the absence of CD11b, most of the myeloids cells in tumors were the M2 sub-type, that help the tumor grow and spread.